1 What is the Honolulu Pool Game? What is the Honolulu Pool Game? The Honolulu pool game is also known as banks, kisses, and combinations. It is a call-shot pocket pool game where players must pocket all shots in an indirect fashion to reach a set number of points.Honolulu presents players with “an unending kaleidoscope of strategic and shot-making challenges.” That is According to the Billiard Congress of America - the governing body of billiards in the United States. Playing Honolulu requires all balls and the cue ball. Shown in the photo is a complete rack with the cue stick. Players can pocket any ball but are not allowed to shoot straight-in shots. Shots must be combos, banks, caroms, billiards, kicks, or a combination of these shots. The goal is to shoot eight balls. The game may consist of two players or two teams. 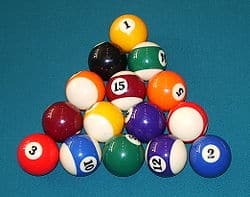 There are 15 balls used in the game, and they are placed in the triangle rack in no particular order. 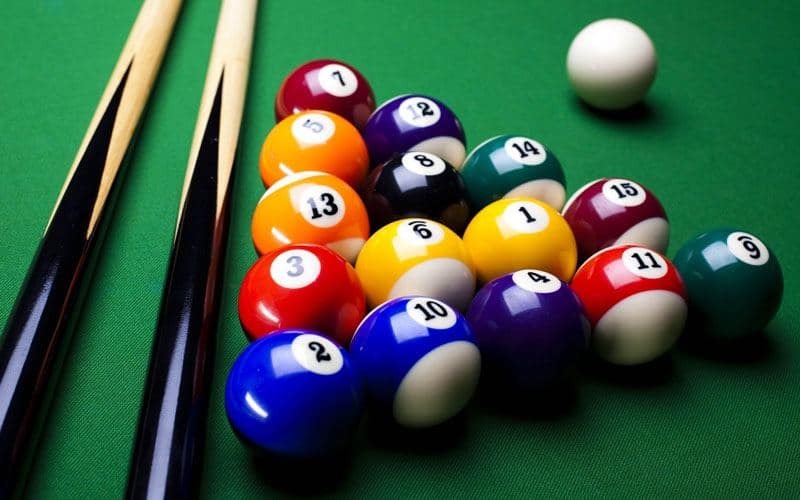 It is required that two object balls, as well as the cue, hit a rail or a called ball into a called pocket. Failure to do so is considered foul, and the opponent is given the next turn. Players must pocket any called shot with a non-straight-in shot to continue their turn at the table. Bank and kick shots must hit a non-adjacent rail to the called pocket. If the table is then cleared without the shooter winning. May it be due to owed balls from earlier penalties or delayed balls pocketed. All of the owed and delayed balls are spotted, and the shooter continues at the table. If a shot is pocketed on the opening break, then it does count in the overall point total of the player. The player with a pocketed ball can also continue to shoot until they no longer does so. The main goal is to pocket the ball off. Using any other legal method, other than a straight shot. The first one to pot eight balls legally will win the game. Racking for the Honolulu Pool Game is easy, you just have to put all balls randomly inside a rack. There are a number of strategies in order to win Honolulu. But the first one you should keep in mind is looking for the shots with object balls close to pockets. These balls are the easiest shots to make with combos, billiards, and kick shots. Any ball close to a pocket is also a candidate to carom another ball. Look for caroms with balls close together. Just like in any pool game, you don’t want to sell out. Never attempt a difficult shot when it will leave an easy score for your opponent. Don’t play safe when the table is tough. You might as well try to score and not leave your opponent an easy shot. Unlike other pool games, there is no “three foul” rule in the game of Honolulu. Instead, all balls pocketed on a foul shot are spotted. In addition to this, the fouler spots one of his previously pocketed balls or owes a ball to the table. 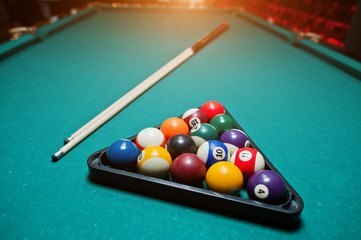 Another move considered foul is called the “No Rail” wherein the player does not pocket any ball, and at least one ball does not contact a cushion after the cue ball contacts an object ball. This usually happens during safety or defensive play, or when the shot is played too softly. For all other fouls, the opponent takes the table in position. A Scratch or cue ball off the table is ball-in-hand behind the head string.